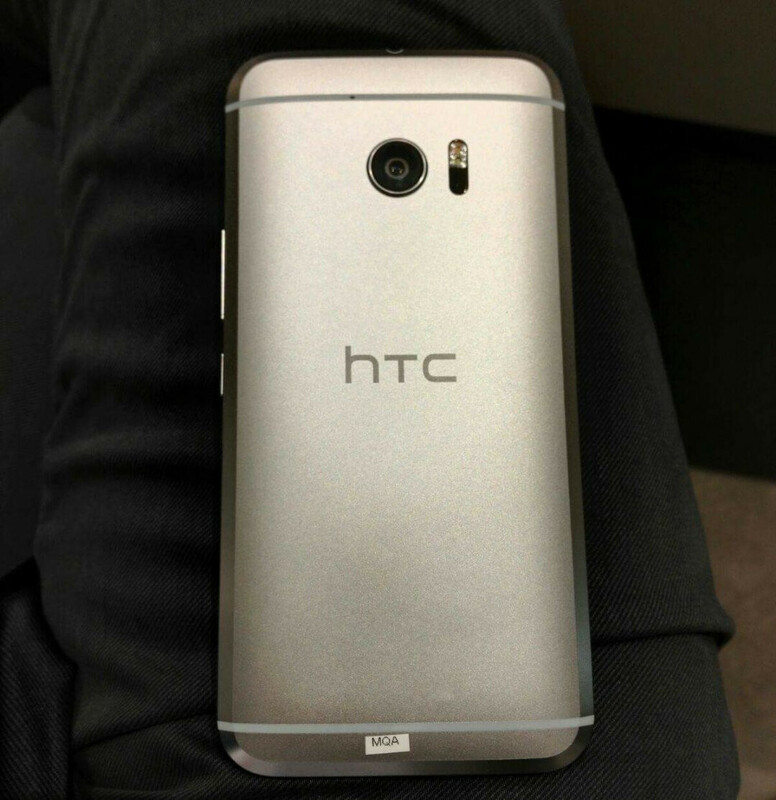 HTC 10: finally a legit sequel to the HTC One M7? HTC, like so many of the mobile industry's mainstays, has taken up long-term residence in the shadow of Apple and Samsung. Whichever way you want to cut it, there's no question that the annual iPhone and Samsung Galaxy S devices have continued to dominate proceedings. After many years of sitting on the sidelines, HTC decided to flex its muscles back in 2013 with the HTC One (M7), an exemplary display of beauty, elegance, features and smooth functionality. Finally, it seemed that the 'quietly brilliant' firm had found its voice. As you might imagine of a guy writing on a tech site, I am what you'd describe as a confirmed geek. But when it comes to smartphones, I am extremely picky and thus, it takes a lot to get me out of my chair. Back in 2011-12, I had primarily alternated been between the Samsung Galaxy S II / S III and Apple's iPhone 4s. HTC One M7's arrival in April 2013 caught me at a time when I was deciding whether to grab the coveted Galaxy S4, or wait for Apple's next big thing -- what we now know to be the iPhone 5s. The formality of picking between Apple and Samsung had become terribly familiar. Even though HTC had rolled out a bunch of powerful smartphones in the year or so prior to the One M7, there seemed a distinct lack of a true, stand-out flagship on the company's roster. With the firm's profits also on the downturn at the time, a major response was required. Through the first weeks of 2013, rumor had it that something special was on the horizon, and so being the nerd that I am, I sauntered down to the London HTC launch event in February 2013 to see what the fuss was about. I, like many at the time, was well and truly blown away. So much so, that I pre-ordered the device there and then. It felt slick to the touch, smooth to use, and had that intangible edge that is so rare to find. Sure, the UltraPixel camera was a bit of a gimmick, as we mentioned in our original HTC One review. But the shooter was still very good and the BoomSound speakers were, well, booming. With the buttery smooth Android Jelly Bean and HTC's Sense 5.0 overlay to boot, it was arguably as close to perfection as could be found from a smartphone at the time. Zoom forward just three short years, and HTC seems like it's back where it was. That is, apparently stuck in a downward financial spiral and in real need of another lifeline. The HTC One M8 that followed in 2014 was a decent enough handset. But when you've set the bar at greatness, good just looks okay. The primary beef was with the main camera -- or cameras -- which took a major step down. As with the original One M7, HTC wished to make the point that its UltraPixel stance was the way forward, since vendors had gotten caught up in something of a megapixel arms race. While it's true that camera resolution isn't everything and at that time, the industry was leading consumers to believe that a more megapixels always equated to better camera, the HTC One M8's 'Duo' UltraPixel shooter didn't do a good job of trying to expose this. Last year's HTC One M9 was another pretty-looking handset. By and large, it was unchanged from the One M8, and still the camera wasn't quite up there with the best-in-class. In fact, it'd be fair to say that progress since 2013 has been pretty scant on HTC's flagship front. Having used both the HTC One M8 and M9 for long enough to know that they're very good handsets, I believe that most of their key selling points have simply been recycled or lightly refreshed from the M7. Meanwhile the shortcomings -- most notably pertaining to the camera(s) -- have still not been addressed. Moreover, that wow factor just hasn't been there. The company has moved sideways, if not backwards, during the past three years. Since the HTC One M7 arrived in 2013, Apple has gone from the iPhone 5 through to the iPhone 6s and 6s Plus, while Samsung has moved up the gears from the S4 to the delightful new S7 duo. The two industry leaders have made considerable strides in design, performance and features, hence why they are industry leaders. When you take a look at what HTC has done meanwhile, it's not hard to see why the firm's numbers aren't much to shout about. Having not really set the world alight with its efforts since the One M7, things may be about to change with the so-called HTC 10. A handset that has been leaked ad nauseam, the company has already begun teasing a device with what it describes as a set of "world-class" cameras ahead of a probable mid-April announcement. The point-and-shoot experience of any top smartphone is among the main considerations for most buyers these days, and having swung and missed over the past couple of years, it's high time HTC sorted out such a fundamental aspect of its most important handset. Will HTC's next flagship finally deliver a flagship-level camera? While it's true that resolution isn't the sole contributor to a camera's performance, even utilizing proven, high-end components doesn't make for a sure-fire win. As we discovered with the HTC One M9, software issues can severely hinder the user experience; with the current flagship, focus adjustment during video recording is not always that smooth. In my own personal experiences, HTC's high-enders have struggled with image processing in general, which is something that the HTC 10 will have to address if its shooters are to hit the heights. Design: the same charm with just enough of different? HTC has consistently delivered flagship handsets with premium build over the past few iterations, and according to the leaks, the HTC 10 will retain this product line's traditional charm. From the rear, it's very much remnant of that old HTC One M7 design, one that has carried through the One M8 and One M9. This is certainly not a bad thing, and based on these leaked snaps, the HTC 10 is a device that could, if the other aspects are done right, mix it with the industry darlings. As for the front, the HTC logo will probably bow out, in favor of a centered fingerprint sensor akin to the mid-range One A9. For the HTC 10 to be a success on the level of the One M7, it will need to be close to perfection in terms of design, user experience, and after the last few generations, camera performance. Set to be loaded with Qualcomm's Snapdragon 820 processor and 4 gigs of RAM, HTC has been hyping up its next flagship's overall power, having recently described its forthcoming handset as the "smoothest and fastest Android phone." The one thing we surely won't know until the device is right here and in the hand, though, is whether the device has that edge. That little extra something that, as I mentioned earlier, is difficult to describe or identify. The HTC One M7 had this. The iPhone 6 and Galaxy S6 edge both arguably had this, too. But whether the HTC 10 will force the tech world stand up and take notice as it did three years back, we'll have to wait and see. Given the purported design, specs, and promises by HTC of improvements in all the key areas, there's good reason to believe that the HTC 10 will finally deliver what the One M8 and M9 should have brought, but never did; the sequel that many hoped for and expected, but didn't get to see. The official unveiling later this month will finally reveal all, and per the numerous leaks and reports hitherto, the omens are certainly favorable. Do you think the HTC 10 can thrust its maker back into the reckoning, or will it be yet another underwhelming episode from the Taiwanese firm? Let us know of your thoughts in the comments! It'll do better than last year's bombed out high end phone, but as compared to all the phone makers from China itself and South Korea.... they won't get even close to the market share of the big boys, like SAMSUNG! Huawei's new phones are going to probably end up beating even Samsung out though. I don't think even Xiaomi can match Huawei's new Premium P9 and P9 Plus phone line. It's the first dual camera setup using Zeiss Cameras. They have better features and specs than this HTC M10! What HTC needs is a 'Samsung Galaxy Nexus' to call it's own. A 'HTC One Nexus' if you will. That would be truly awesome and special. They did and it failed and then they had the Google experience device and also a fail. I hope that they can truly pull this off because let's face it they are the true OG. HTC's Nexus One was one of the best early Android phones. M7 M8 M9 where all great phone just crappy camera to be truthfull. Except it was uglier than the M7 and M9 was more uglier. And know this much more. Get rid off the curves and chamfered back and sharpen the Edges. Pointed corners like the ugly Sony phones? Eww, no. I think it will because they are releasing the phone behind others that have been released. look at the LG G2 it was released last and got critical acclaim(not for its design). but now it all depends on the marketing HTC does, if it doesn't do it well no-one's going to know about them and in turn very less phones will be sold. 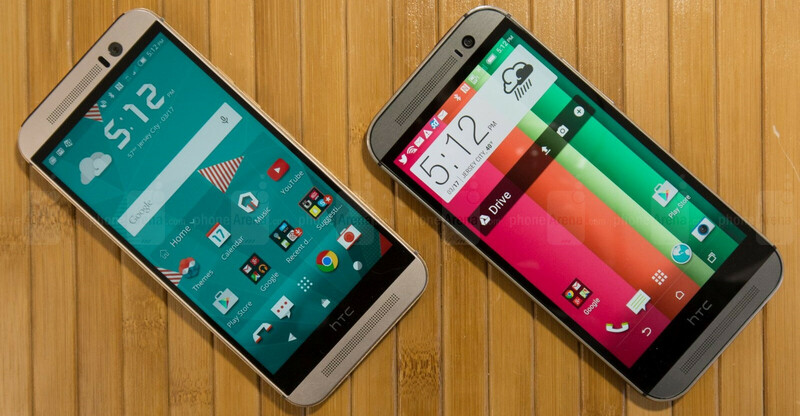 The HTC M8 is just a "legit sequel" to the M7 as an iPhone 6s is to a 6. Completely agree. Both the 6s and M8 are one of my favorite phones of all time. Close to perfection. Both fixed almost all the quirks of their predecessors. nobody ever seems to ding Apple for using the same design for 2 years, or 3 in the case of the iphone SE. The author didn't complain about its design but about the camera as its main shortcoming. This from the man who repeatedly made statements about how the EVO 3D "pimp slapped" the competition. Now you're a Samsung shill/fangirl. Seriously man, you're just sad. Do you get paid to troll or do you just have no life? I wasn't talking about specs. I've used both 5s and 6 and the everyday experience is the same.